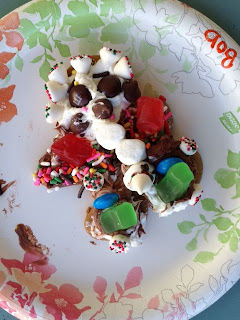 Smacksy Saturday Photo: Gingerbread Man - . "See, Mom? It's a gingerbread man but he's also a rock star." Thats the most delicious looking Rock star, ever. Yes, I believe that is indeed the gingerbread version of Elton John. Good work, Bob. That totally looks like an ABC after school special rock star!!! That is THE BEST gingerbread man.